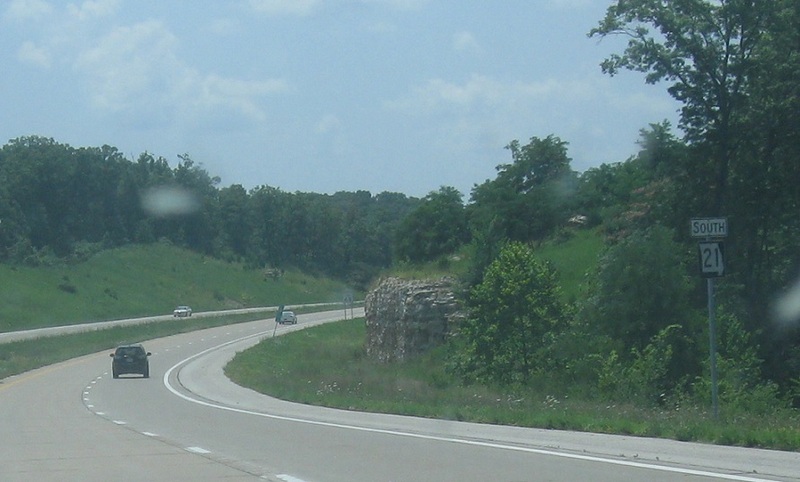 Reassurance shield after 141 as Route 21 widens to a divided highway. 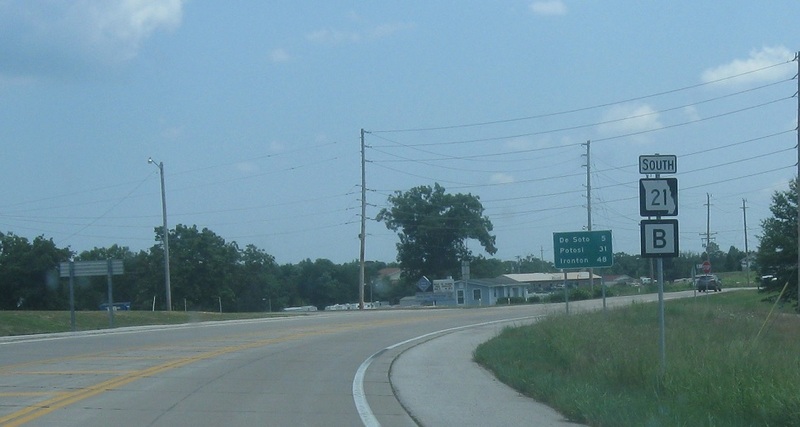 Reassurance shield after the old 21 interchange. 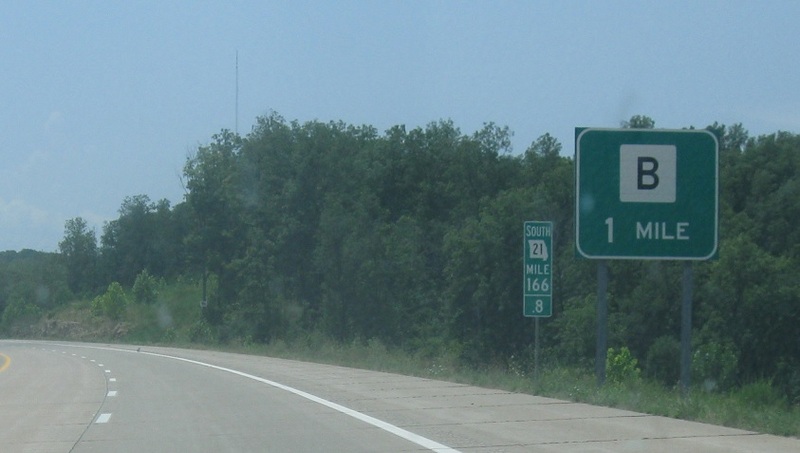 A few miles later, we’ll approach Route M.
1/2 mile to M and MM. Exit for M and MM. Mmm. 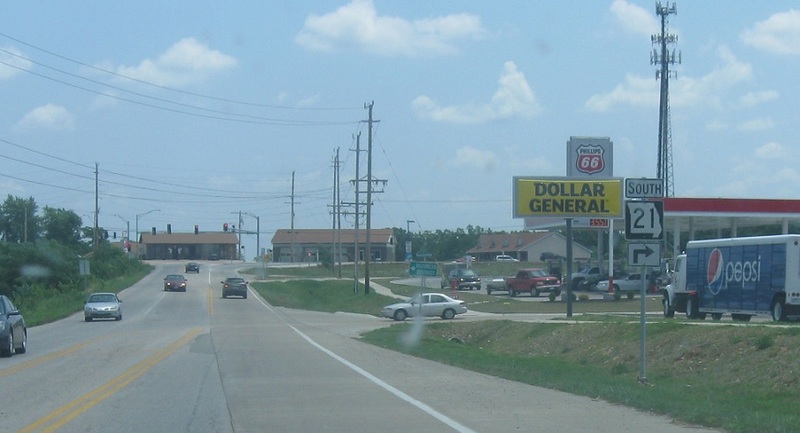 Reassurance shield after M and MM. 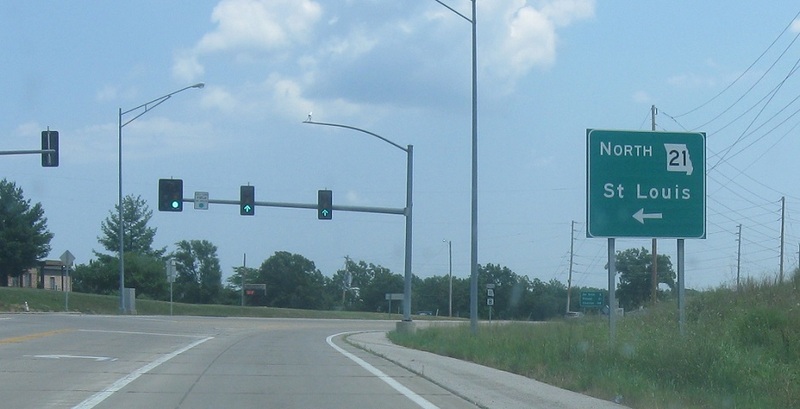 Reassurance shield after another old 21 interchange. 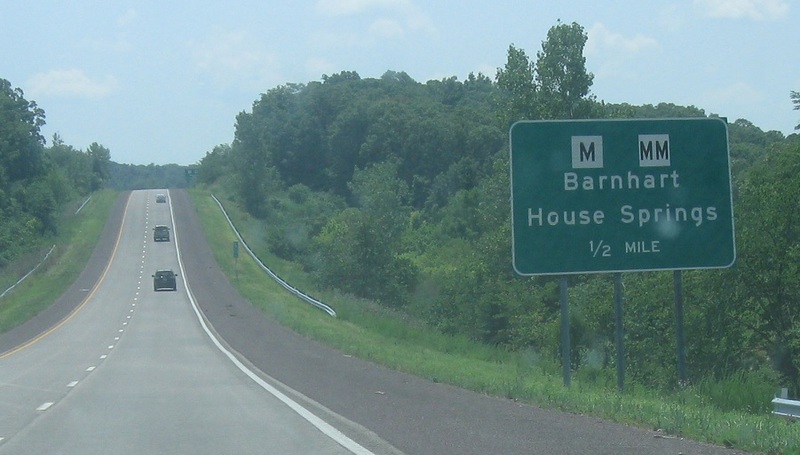 Reassurance shield a few miles later, after yet another old 21 interchange. 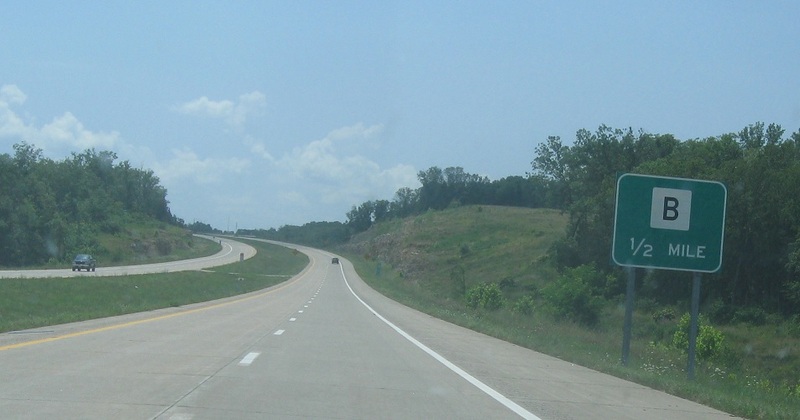 This new divided highway alignment was completed in 2008. 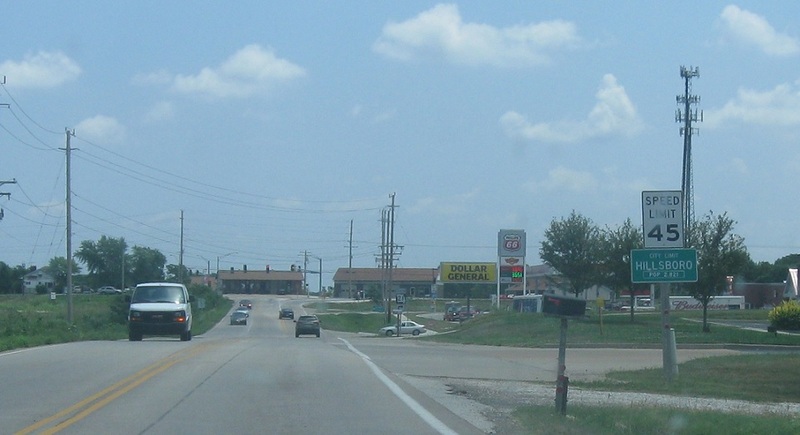 After the most recent old 21 junction, we’re 4 miles from A and 6 miles from B.
Reassurance shield after Hayden Rd. 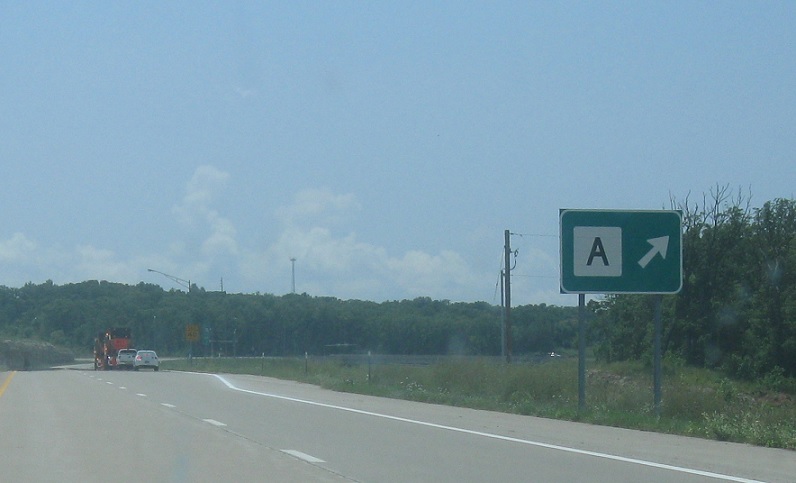 Shortly thereafter, we’ll approach Route B. 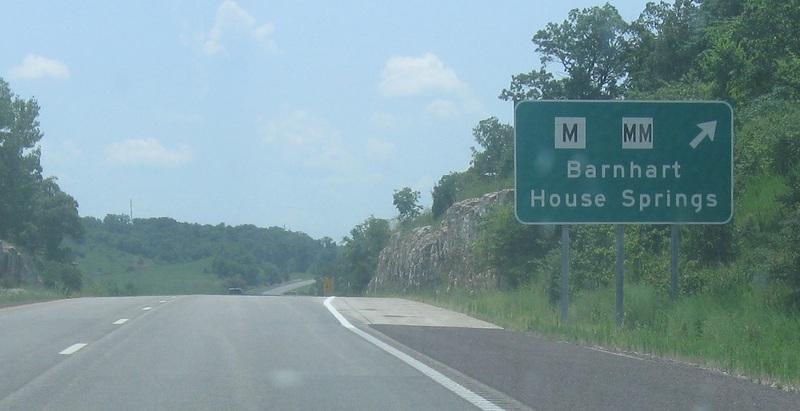 One half mile to Route B. 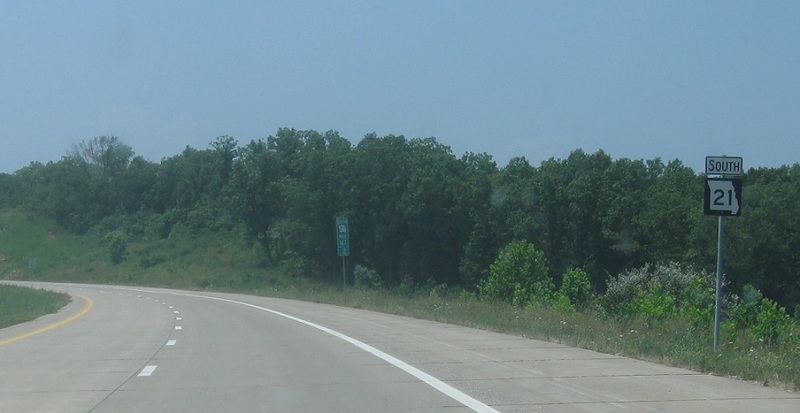 At Route B, 21 will turn onto its old alignment as the divided highway ends. 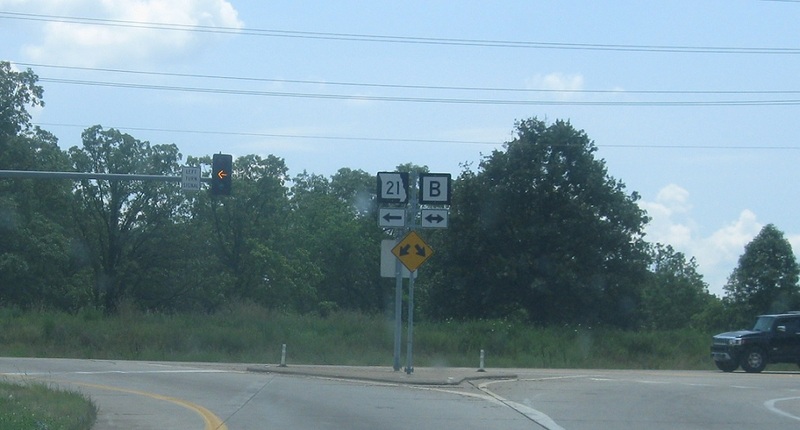 Turn left for 21 south/B west and right for B east. 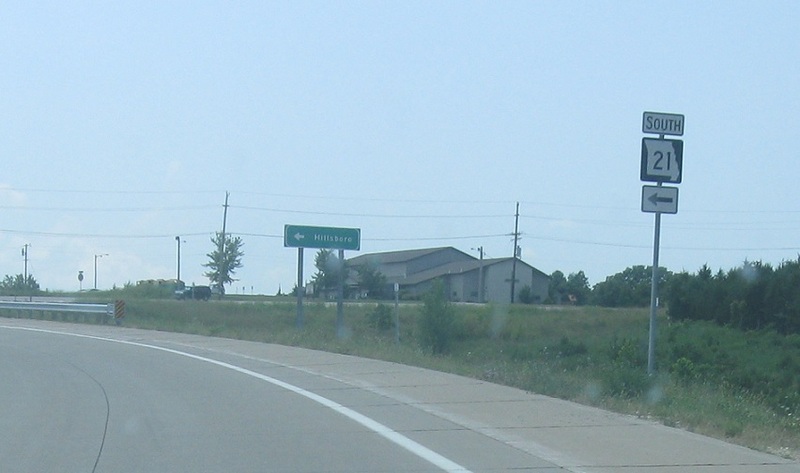 As we turn left, we’ll approach the northbound part of the divided highway. 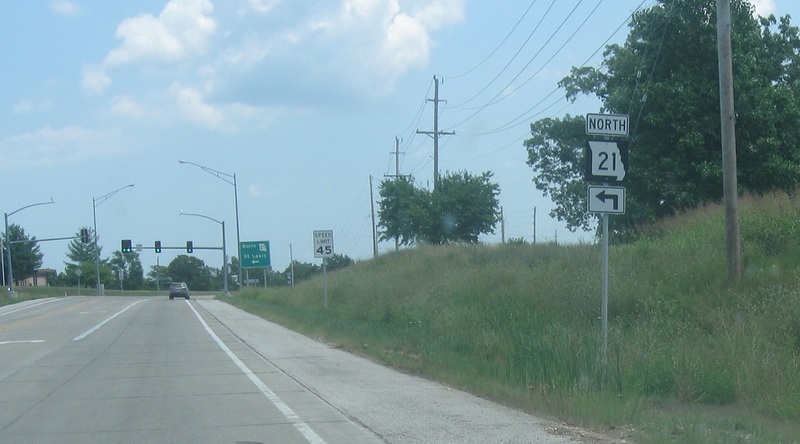 Follow 21 north back to the Lou. Reassurance shield as we finish all that. 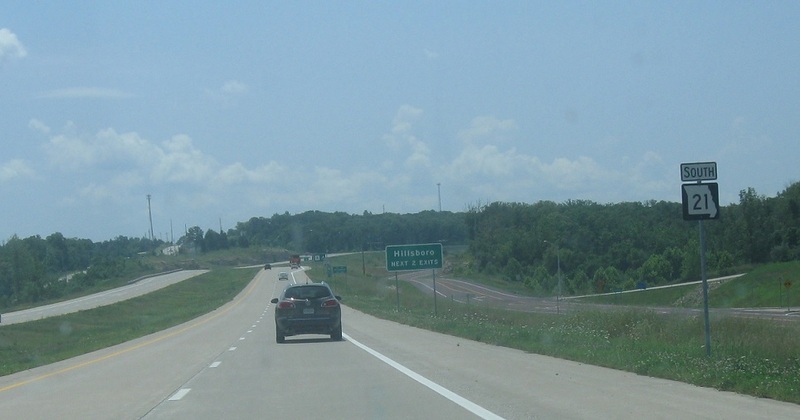 Just after the turn, we’ll enter Hillsboro. 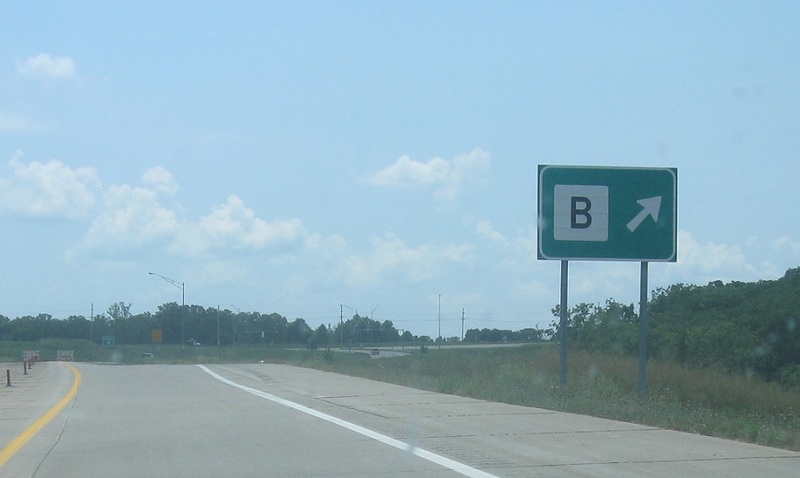 At the light, we’ll turn off B and back onto the future Old 21. 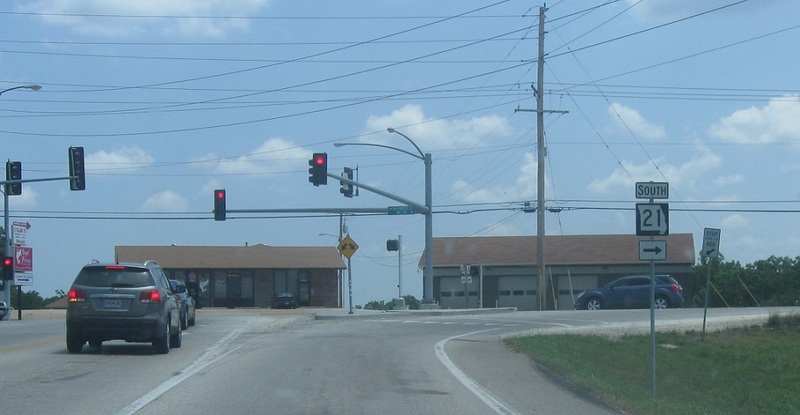 Turn right to merge back onto the original alignment of 21 south. 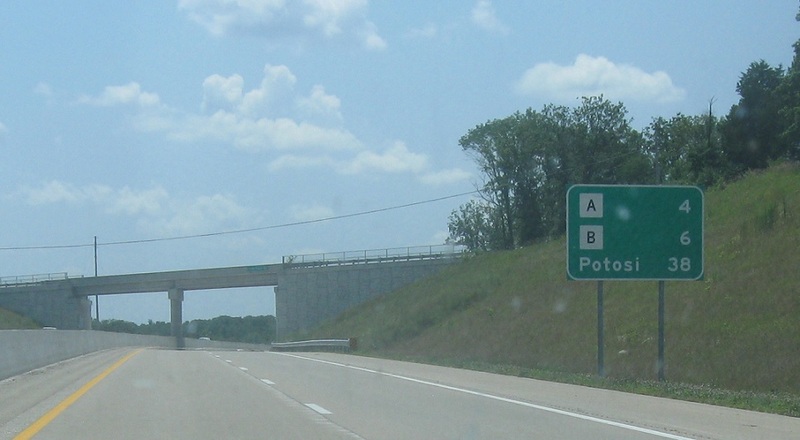 Route B ends. 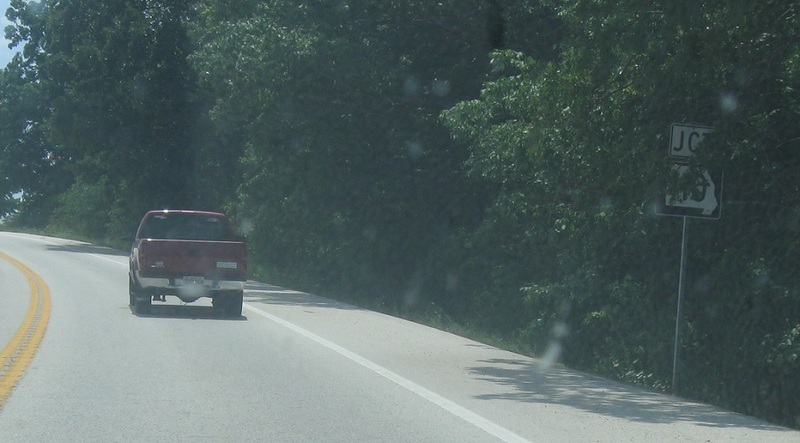 A couple miles after the turn, we’ll approach Route 110. 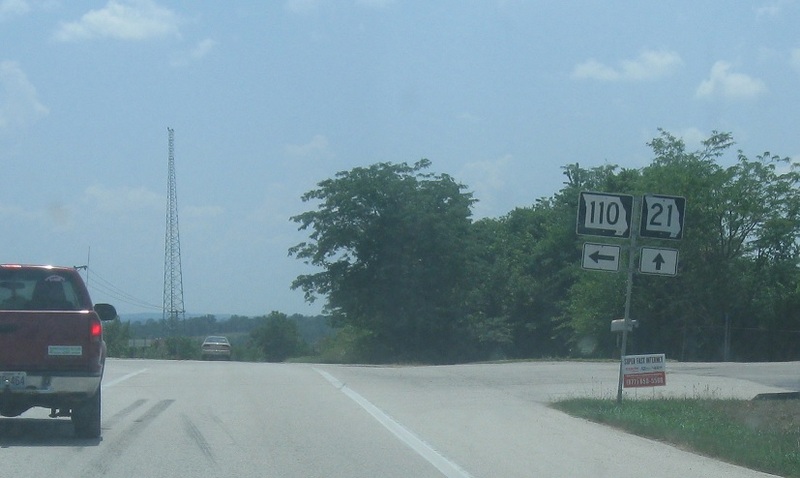 Turn left for 110 east. 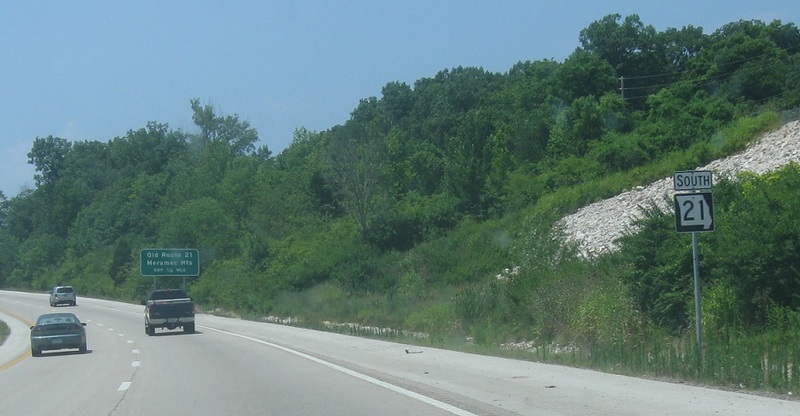 This is a different Route 110 than the more recently designated one in the northern part of the state that designates the Chicago-Kansas City Expressway. Not sure why this one wasn’t renumbered.